Spirit of Lost Angels is featured this month on Indies Unlimited! Cheers to the power of three! Many thanks to Sue Howe for letting us have a rant on her blog! Thanks to Gwen Lansbury, loyal patron of Bookoccino, for this information. Inspiration, or merely fleeting excitement? You think you’ve got it, THE fabulous idea for the next novel! There’s nothing quite like inspiration – the exhilaration that sets the fingers itching, trembling even, over the keyboard. The urge to drop everything and set off immediately into a new and exciting adventure; a magnetic pull into the clutches of this undiscovered, invented world. In that instant, it seems perfect, a sure-winner. But, on reflection, is the idea really so great? The first photo my friend showed me was of a wooden bench seat, the chipped paint and worn slats gleaming in the angle of morning sun. 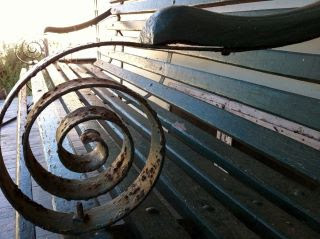 Splotches of rust trace the spirals of the iron arm rests. She said her great-grandfather proposed to his future wife on that seat. The next photo was of the family home they were being forced to sell: an Australian federation-style house with the usual jacaranda, magnolia and fruit tree blossoms. 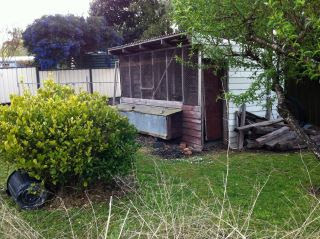 In the backyard, a dilapidated chook-run leant to one side, and the thunderbox had lost its roof. 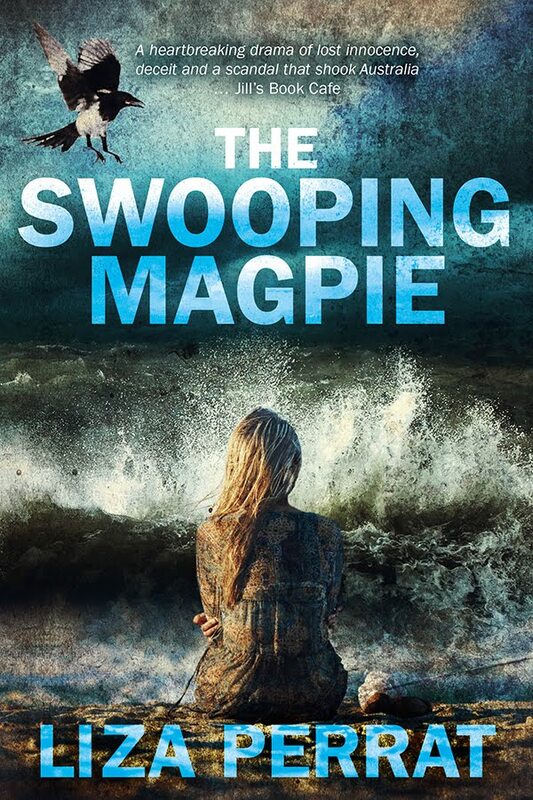 As we laughed, recalling those outside toilets, crawling with spiders, bats and mice, I felt it coming on like a hot flush –– the ticking mind, the quickening heartbeat, the thrill pulsing through my veins. 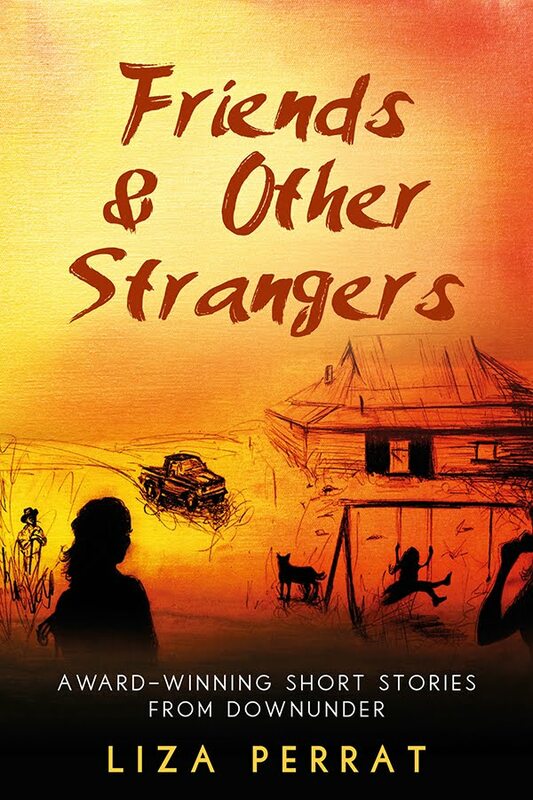 Flashes of characters, dialogue, exotic settings. My mind’s eye visualized the story behind these photographs: the Australian convict settlement, the gold rush, fierce bushrangers galloping off into the hills. It took hold. I flung my arms about, stuttering out ideas, quirky characters and dreamy scenes. Then the dust settled, and I recalled the excellent award-winning books I’d read about this period such as: Kate Grenville’s The Secret River and Peter Carey’s True History of the Kelly Gang. I realized it had been done before, and far better than I could hope for. Besides, I no longer lived in Australia, which made me feel even more distant from this project. I sadly put the Aussie saga idea to bed … for the moment. Shortly after this revelation, on a Sunday afternoon walk in the rural village of Messimy, France, where I now live, I was following the pathway of the nineteen crosses. On the banks of the Garon River, I reached cross number fifteen –– a small granite cross named croix à gros ventre (cross with a big belly). Engraved with two entwined tibias and a heart shape, it is dated 1717, and commemorates two children who drowned in the Garon River. I was intrigued. Who were these children? How old were they? How had they drowned, and where are they buried? I hiked up to the local historical organization and learned the children were four and five years old, and are buried in the cemetery of a neighbouring village. I felt the urge to give these lost little ones a family, a village, an identity. This was the story I had to write. Based on Messimy, the village of Lucie-sur-Vionne was born, the Vionne River and the family farm –– L’Auberge des Anges (The Inn of Angels). The first in the series that follows the Charpentier family across the centuries –– Spirit of Lost Angels –– has just been published under the Triskele Books label: www.triskelebooks.com. The second book, Wolfsangel, will be finished shortly. It’s not to say I’ll never write that Australian saga. Perhaps I will one day, but today is not the right moment. Living in France, it seems far more fitting to begin my foray into the fictional world through historical France, rather than historical Australia. The novel-journey is long, arduous and dizzying, and does not end after the weekend, or maybe even after a whole year. You have to really want to be there, to reach the finish line. So, when those sparks of inspiration ignite, perhaps think twice. In hindsight, that original flash of inspiration might not be so fabulous after all. Many thanks to Julie for this lovely review of Spirit of Lost Angels! This appeared, last week, on self-published award winner, Dan Holloway's new blog! I'd been anticipating this "event" for months, and now it's suddenly over. Triskele Books and Spirit of Lost Angels have embarked on the stormy seas of self-publication. It all feels a bit like... what now? Of course, the answer to that is easy: get the hell on with writing the next book! Just back from four days in rainy, noisy, crowded, Jubilee-crazy London, where the launch was held. It was wonderful to finally meet (for real) all the girls from my online writing group: Writing Asylum. They were all as lovely as I'd imagined. If I'd ever had doubts about this self-publishing business, I'm sure now, whether the book swims or sinks, that I made the right decision. To be involved in such close team-work, with all the mutual support and encouragement, is fantastic. To start with nothing but the simple notion of publishing quality books, and now, to see the months of sweat, frustration and angst finally come to fruition is very satisfying. Thanks to all for their support and "Vive Triskele Books"!